Now little artists (and big ones too) can create their own puzzles. This blank, postcard-sized puzzle is sturdy enough for paints, crayons, markers, or pencil crayons. 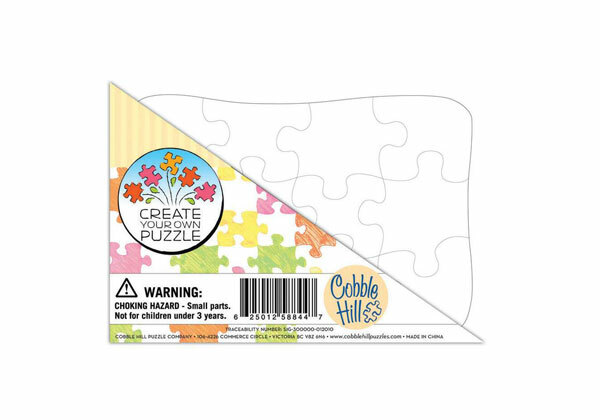 The perfect way for young artists to show off masterful creations to family members near or far!Now little artists (and big ones too) can create their own puzzles. This blank, postcard-sized puzzle is sturdy enough for paints, crayons, markers, or pencil crayons. The perfect way for young artists to show off masterful creations to family members near or far! 5x7 in - 12 pieces - Age: 3 and up.